Set a large pan over medium-high heat and add enough butter to lightly coast the bottom of the pan. Layer the cheese and chiles onto 2 of the bread slices. Cook the sandwiches on one side, turning after 5 minutes or when the first side is golden brown and the cheese has begun to melt. Cook the other side just until golden brown. Be sure to share your favorite Hatch Chiles recipes with us in the comments below! 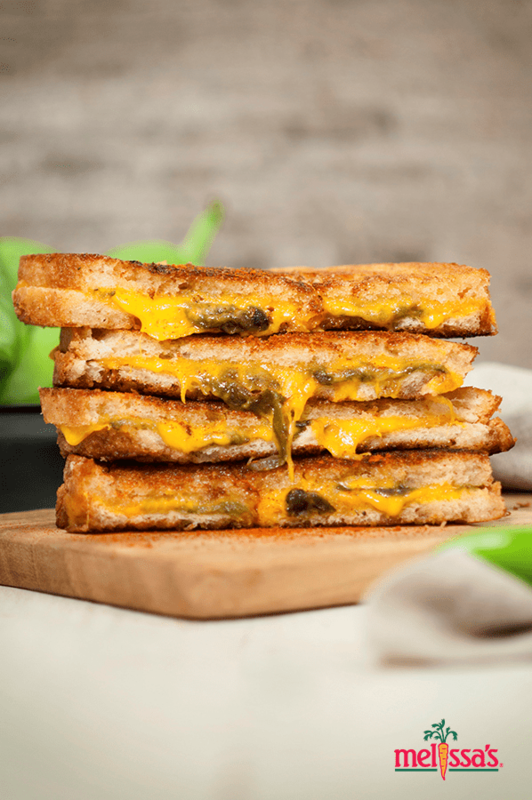 Share your Hatch Chile Grilled Cheese Sandwich photos with us by posting onto our Facebook page or using the hashtag #CookingWithMollies on Instagram or Twitter.